Travellers who wish to come to Mongolia, take flights, trains or vehicles. 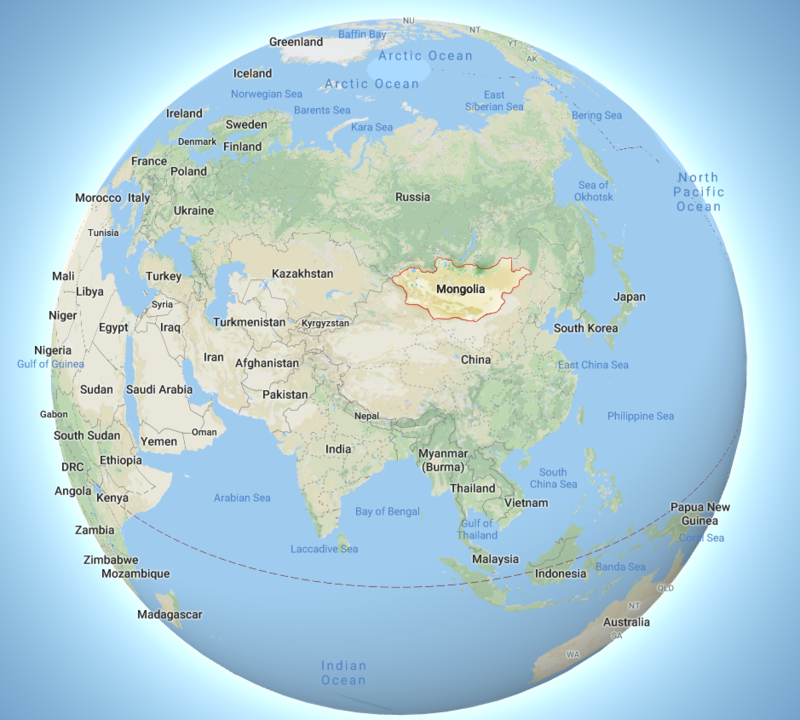 Mongolia is landlocked country neighboring only China & Russia. There is tiny Russia gap between Mongolia and Kazakhstan. There is no sea port. meanwhile there are ports around Mongolia where you can enter or exit. Be careful, that some ports are not open for all year around. Even there aren't many airlines flying in to Mongolia number of flights are increasing significantly in each year. All flights arrive in Ulaanbaatar, capital city of Mongolia. The airport called Chinggis Khaan international airport, just moved into new place for 2019. Depending on which part of the world you are coming, you need to find right airline for you. Beijing Capital Airport will be one of the biggest Hub airport for those who are coming to Mongoolia, Ulaanbaatar city. Another hub airport is Inchon Seoul airport. Also from other side, Turkish Airline is flying from Ata-Turk airport. 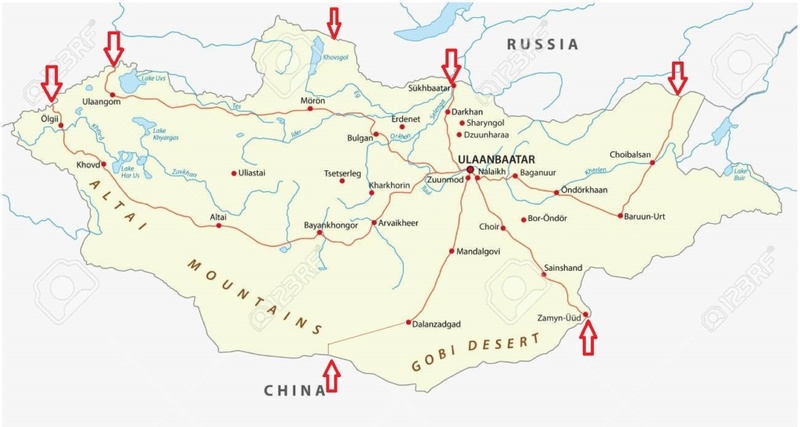 There are number of direct flights to Ulaanbaatar, but some flights could be via Beijing Capital Airport and Bishkek-Manos Airport (from Turkey). Those travellers who are coming from Australia or New Zealand, may need to stop over Inchon Seoul Airport, Hong-Kong International airport. Again, Beijing Capital Airport could be another big hub airport too. MIAT- Mongolian Airlines Fly to Beijing, Hong-Kong, Osaka and Seoul. 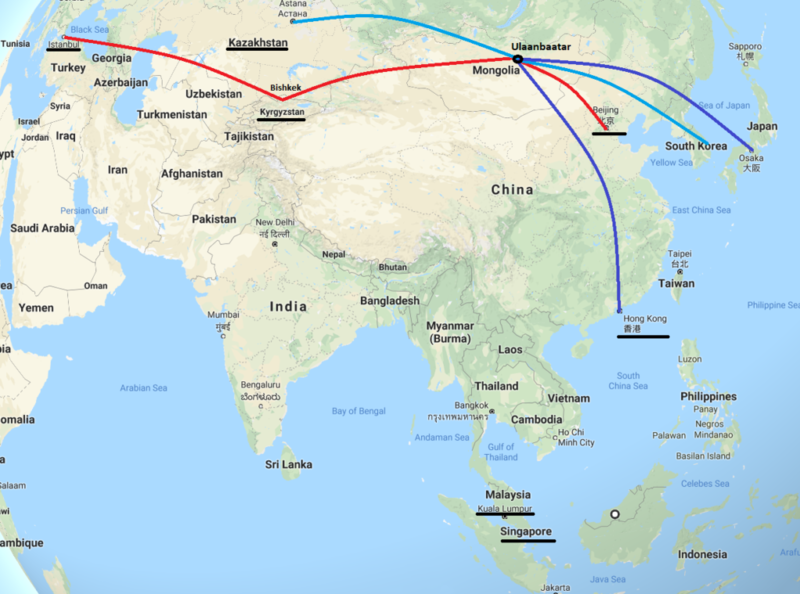 Any international flights to Beijing Capital airport, Inchon Seoul Airport, Hong-Kong International airport needs connecting flights to Ulaanbaatar, Chinggis Khaan International Airport. European travellers coming from Europe needs to fly either Moscow or Istanbul. 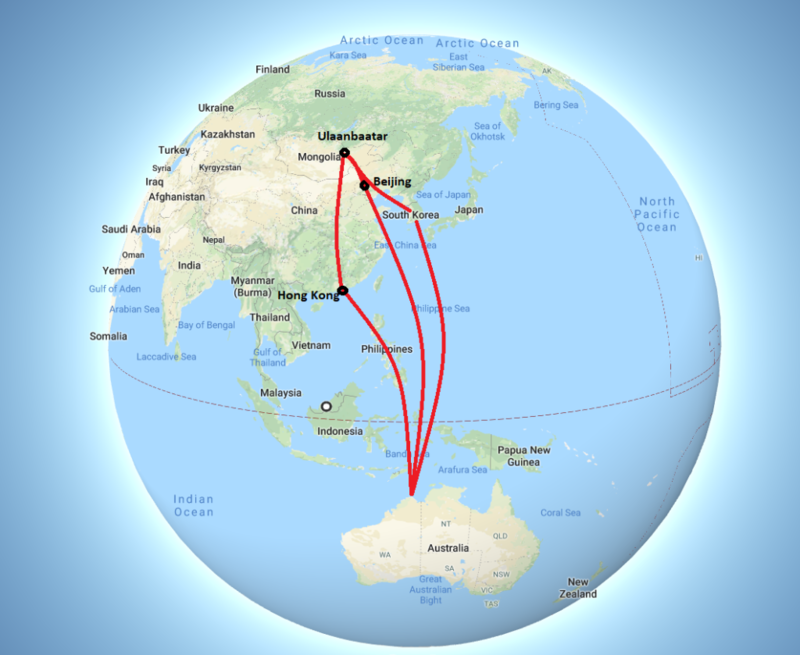 All the flights stop at those 2 cities and will get connected. Even there is direct flight, you stop at Moscow. MIAT- Mongolian Airlines Fly to Moscow Berlin and Frankfurt. It is another long flight similar to flights from Australia. You have 2 different routines to follow depending on which side of America. You fly either to Europe or Asia. 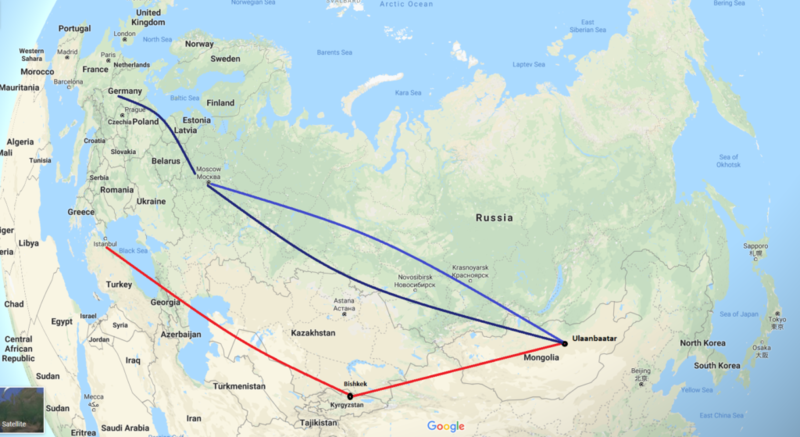 If you follow the Europe line, you will connected Moscow mainly. If you fly to other side, you stop at either Inchon Seoul International Airport or Beijing Capital Airport. One of the interesting ways to travel to Mongolia is to take Trans-Mongolia train. It is not a soft train though, but is doable. Train leaves Moscow and arrive Ulaanbaatar in 5 days 4 nights. The train stops at several cities and it will allow you to visit nearby city. There are 1st class and 2nd class tickets to buy. 1st class sleeping booth is for 2 man and has washing basin with water supply available. 2nd class sleeping booth is for 4 man. You can take the train to Beijing from Ulaanbaatar city and it takes you in there in 2 days and 1 night. 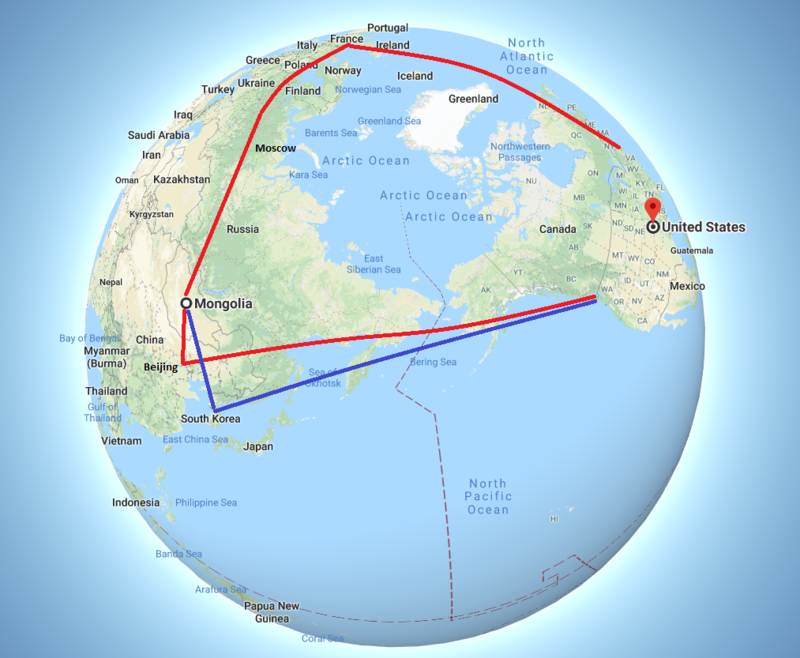 Trains to Mongolia called "Trans Mongolian"
Trains to Vladivostok called "Trans Siberian"
Trains to China called "Trans Manchurian"
There are dry ports around Mongolia where you can enter and exit. But it is quite a long way from Europe, America even some countries in Asia! Meanwhile, roads are not properly built or even they don't exit. There is a big network of dirt roads, you need to be aware of. Some Russian and Chinese tourists drive their own vehicles to enter border area and visit to sights and exit nowadays. Following map shows you where you can enter and exit Mongolia by vehicles.